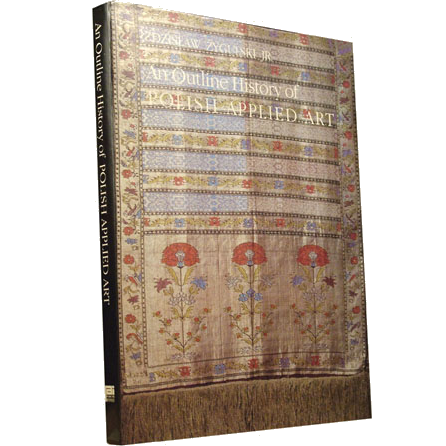 Another great book by prof. Zygulski on Polish applied, decorative and handicraft art. 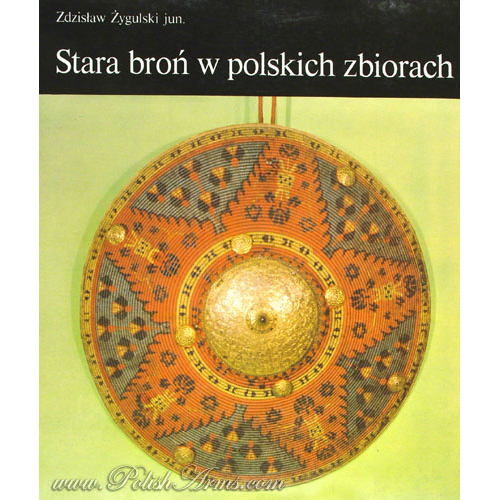 This is a very comprehensive book, that covers almost 1000-year history of the Polish handicraft and applied art with all its branches – prof. Zygulski at his best! 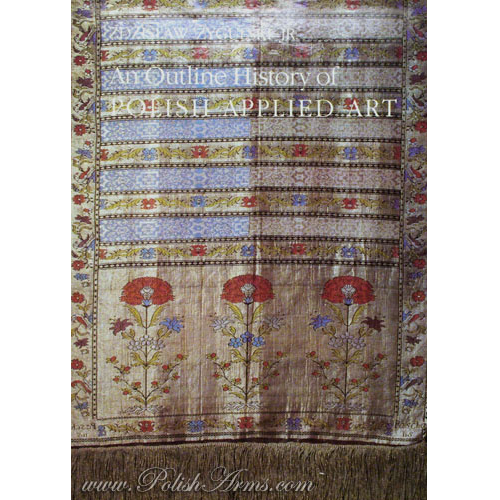 This book gives the reader great and wide insight into the Polish culture and art through the ages. 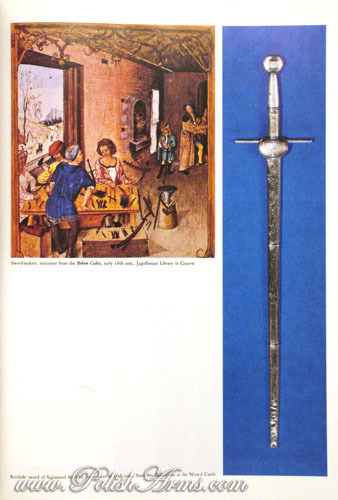 – and many more from the middle-ages up to the 20th c.! 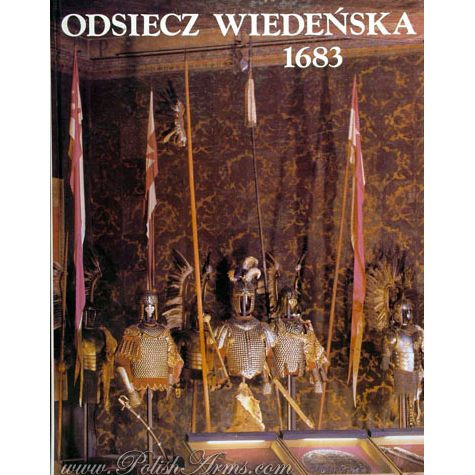 In that period, artistic crafts in Poland were characterized by a great variety of form and style. 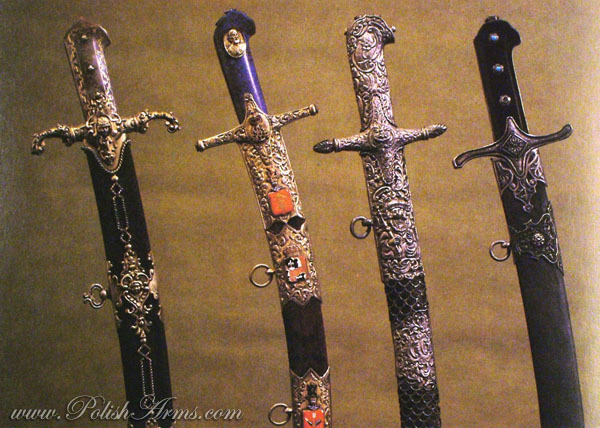 Alongside objects manufactured at home according to West European styles and taste, and large quantities of foreign goods imported from Italy, Hungary, Germany, the Netherlands, Turkey, Persia, the Crimea, Muscovy and Novgorod, a national style began to develop. 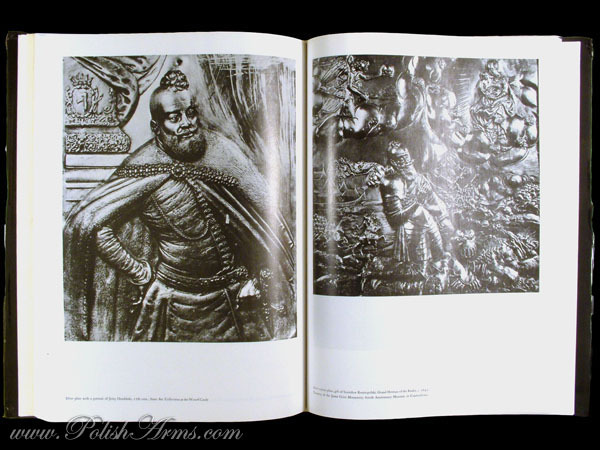 Known as the Sarmatian style it absorbed consecutively Late Renaissance, Baroque, Mannerist, Rococo and Classicist elements but always retained its basic national character. 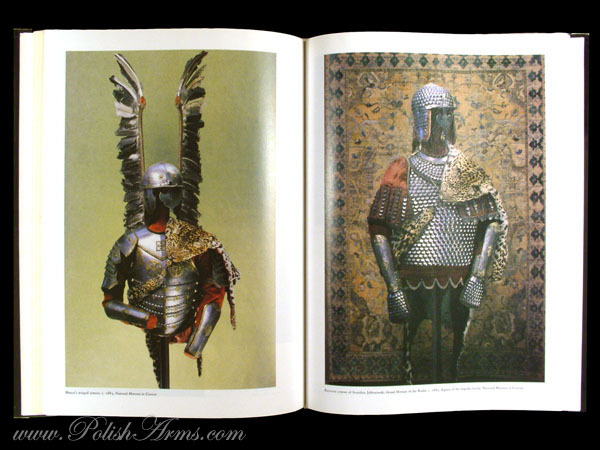 The zhupan, least susceptible to change, was the part of Polish national costume which remained in use longest. 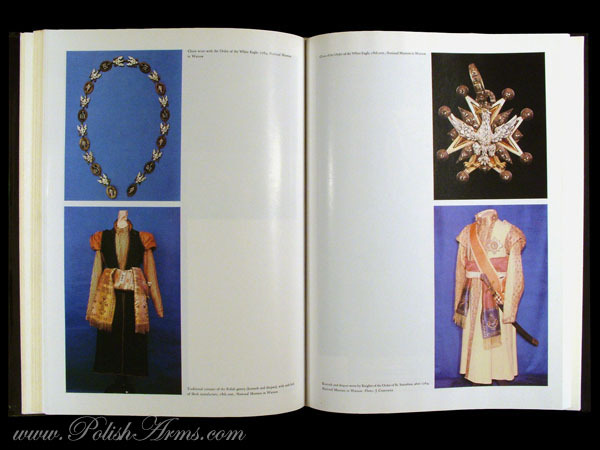 Its name is of Hungarian origin, but the zhupan is in fact a direct descendant of the Turkish caftan which came to Poland via Hungary. Sometimes it reached down to the ankles, and sometimes it was knee-length. Shorter zhupans were used for horse-riding. 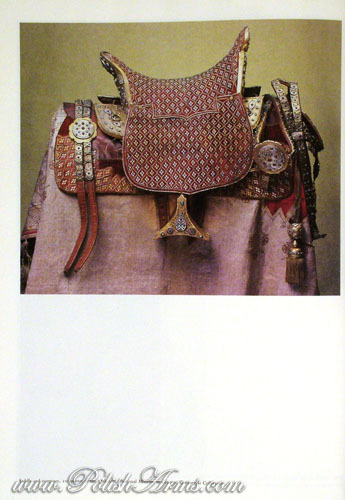 Needless to say, the zhupan was subject to change and appeared in many varieties, but its main characteristic remained basically the same everywhere: close fitting round the chest, buttoned down to the waist with boss-like studs of gold or silver, usually set with precious stones or pearls, with a small stiff collar at the neck; sleeves tight fitting round the wrists; it was worn with a sash round the waist, alongside of a belt of leather or metal, from which hung the sword. 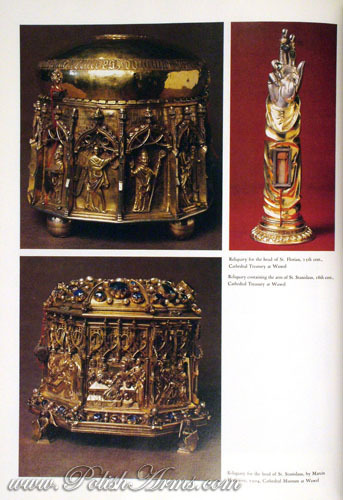 The zhupans were made of fine Italian or oriental damask or satin in geometrical or floral patterns. 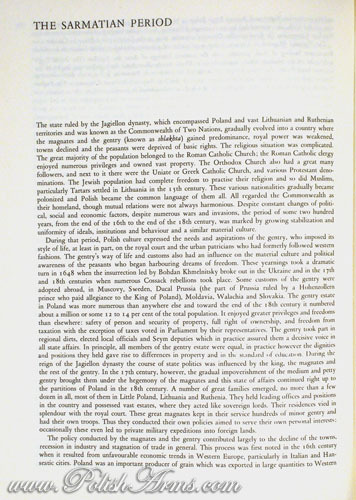 The favourite colours in the 17th century were crimson and soft warm reds known as rosa secca, as well as golden and light brownish hues. Zhupans worn on festive occasions were invariably made of finest Turkish cloth of gold, or golden lamé scintillating in violet, pale green or coral hues.